Earlier this week I was in Calgary, Alberta to do a video shoot for an ongoing production that I've been involved with for the last few months. In addition to that, the trip became an excuse to capture a bit more of the city for my Around Alberta travel photography series. For as often as I feel like I've been in Calgary recently, I quickly realized that there was a lot that I hadn't really explored in years - especially around downtown. From the Wonderland sculpture at the Bow to Fort Calgary, I did my best to cover some of the most iconic spots in the city's core. 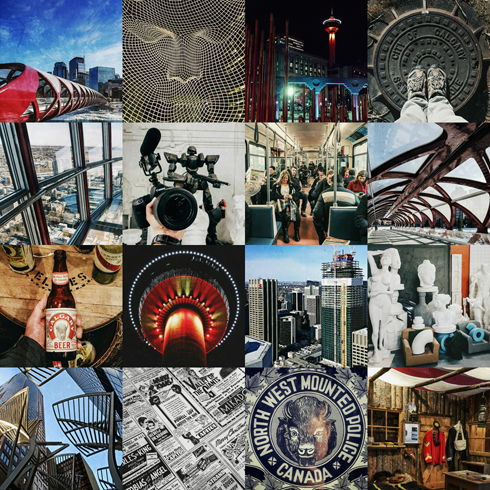 My Instagram feed became fairly Calgary-centric in that time, and a shot I posted of the Calgary Tower was even featured by Tourism Calgary a few days later. It was a lot of fun rediscovering a place so close to home. 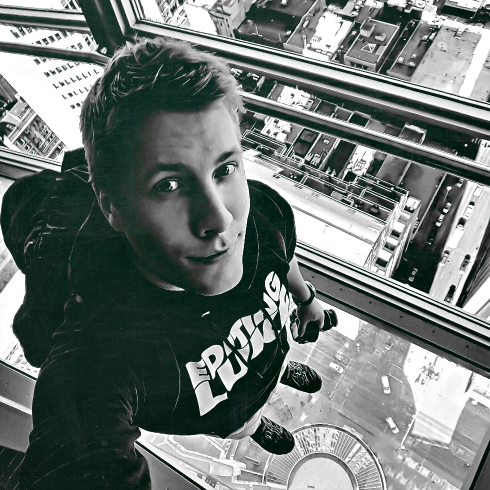 Standing on the glass floor at the Calgary Tower. As for the video shoot, I was capturing footage at Streamline, a company that utilizes foam cutting technology to produce everything from large scale sculptures to movie props to theme park characters at Disneyland. This project is part of a collaboration between Medalta and the Medicine Hat College, in which I've been shooting a video about how the technology can be used in other applications, such as ceramics. It was really interesting to see the cutting in action and I came away with some nice shots. I've said it before, but one of the coolest things about the work I do is getting the opportunity to meet so many talented people and see behind the scenes of some pretty unique places. This was no exception, and the time I had exploring Calgary was a nice bonus.